Here's an interesting entertainment business especially for libraries. 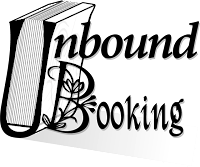 You can request educational acts through Unbound Booking. The goal of the Colorado-based company: "To bring you a variety of educational acts throughout the year. All of our performers are professionally touring, responsible, family friendly acts that would love to perform at your library or school." In addition to offering good programs for schools and libraries, they are encouraging libraries to have their young visitors write to President Obama and tell him how much they like their library and library programs. Librarians would save the letters and mail them on July 15, declaring the day "Presidential Library Day." The idea is that the library will get an official letter from President Obama thanking the library and its community for its interest. Ideally the letters will also remind the President and lawmakers of the role of libraries. What a fine idea!